Ascot Rehabilitation is a rehabilitation unit that offers up to date rehabilitation procedures and supports patients with neurological dysfunction throughout their journey of rehabilitation both as inpatients and outpatients. The rehabilitation offered by the physiotherapy departments in combination with the multidisciplinary team offers evidence-based practice. Facilities including to high tech equipped gyms and a hydrotherapy pool in order to enable our patients to return to their previous life at home. 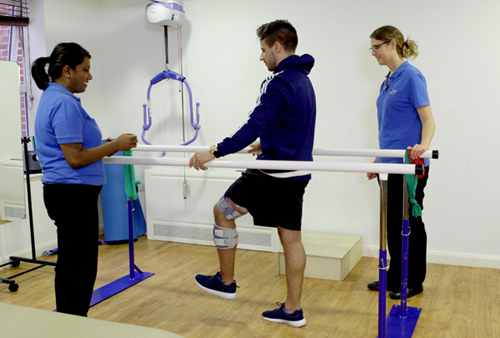 Spasticity Management The spasticity service at Ascot Neurorehabilitation offers an analytical and comprehensive multidisciplinary service to our inpatients and outpatients with spasticity related difficulties for all kinds of neurological dysfunction. Therapeutic approaches include multidisciplinary assessments, highly specialist neurophysiotherapy sessions, botulinum toxin, splinting, active and passive movement, hydrotherapy and gait reeducation with follow up appointments according to client needs.